There is no shortage of vendors competing for business at every part of the enterprise network - every vertical, every size business, from the edge to the core. None are created equal, but a few have separated themselves from the pack to become the 10 most powerful. This is Network World's understanding of the most powerful enterprise networking companies, which we based on our own research, consultations with trusted industry analysts and the work of our in-house journalists. For our purposes, we thought of power mostly as market share in key areas of the enterprise networking marketplace - specifically core networking, monitoring and management, WLAN and the edge, though we did consider their technology bases and important market factors as well. Enjoy. By the numbers: 60 – Cisco maintains a 60% market share in the routing and switching market, according to the most recent numbers from IDC. Aruba, acquired by HP months before the company split into two entities in late 2015, is now the wireless arm of HPE – former CEO Dominic Orr joked that Aruba actually acquired HP Networking, not the other way around. It accounts for about 20% of worldwide wireless revenue share, according to Gartner. By the numbers: 7.5 million – The company’s partnering with the Texas A&M Transportation Institute for a tracking and traffic-flow optimization project that will affect the College Station campus’s 7.5 million annual riders. Outlook: The foray into the core switch market could radically affect Aruba’s trajectory, though its position in the WLAN market is unlikely to change as a result. Still, the recent news from IDC that the company’s market share shrank in its latest quarterly report, in a period where the global WLAN market grew, might be a cause for minor concern. By the numbers: 3.5 – Juniper clawed out 3.5% annual growth in the switching and routing market in 2016, according to IDC. Why they’re here: Huawei hits a lot of segments in the enterprise networking market, from core networking to WLAN to WAN. (It also makes approximately everything else, including smartphones and tablets.) The company’s presence in the U.S. has been a bit constrained thanks to questions about the security of its products and its relationship to the Chinese government, but there are no such constraints in many other markets around the globe. By the numbers: 77 – Huawei’s share of the WLAN market grew 77% between 2015 and 2016, according to the latest available numbers from IDC. Why they’re here: Two main reasons. For one thing, there’s a good argument to be made that VMware’s virtualization and cloud products are some of the most important networking workloads out there, and that the company – owned since late 2016 by Dell/EMC – is therefore among the most influential in the enterprise networking sector. However, with its NSX network virtualization product, VMware is also directly, not indirectly, a mover and shaker in software-defined networking. Compatible with most big-name hardware, NSX lets users manage multiple cloud environments from a single console. NSX may have its detractors – plenty of ground-level network admins don’t like it, since it’s hard to “see” what’s happening in a virtual overlay – but it also has applications in security, and the user base could be set to grow. Recent power moves: VMware extended its potential use cases for NSX in February by rolling out NSX-T 1.1, a version of the software that works with non-VMware cloud and virtualization environments. By the numbers: 646 million – IDC figures show that VMware accounts for $646 million in annual cloud management systems software revenue, almost double the amount of IBM, its closest competition. Outlook: There’s something Cisco-esque about VMware, even if its ubiquity isn’t so focused on the enterprise network itself. Its core technology means that it’s going to be a company many networking pros will have to deal with for the foreseeable future. Why they’re here: Riverbed, thanks in part to a years-long series of acquisitions and mergers, is the ruler of the roost for important secondary networking product areas – WAN optimization and application performance management in particular. It’s been focused lately on integrating a diverse set of management and visibility tools into a coherent suite, and on broadening those capabilities into something more than a set of ancillary network tools. 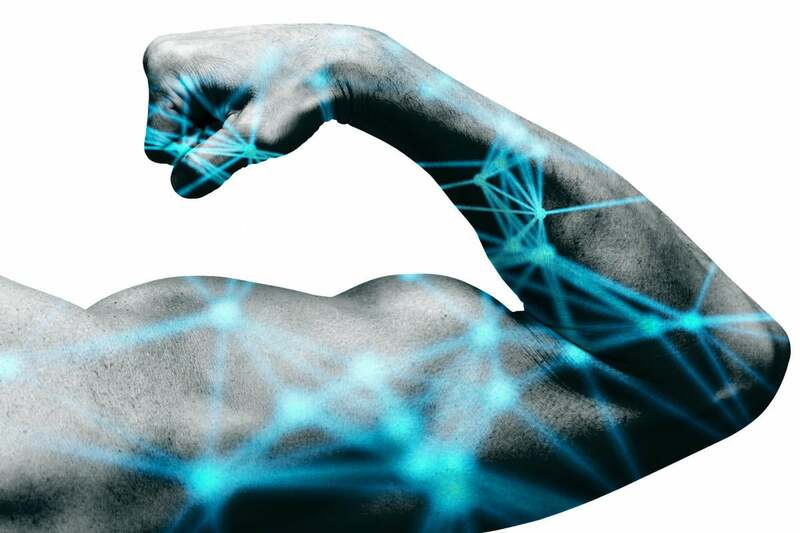 Recent power moves: The company’s latest acquisition – of edge wireless gear manufacturer Xirrus – signals an aggressive shift of direction, with Riverbed executives making bellicose noises about challenging Cisco in certain WLAN markets at a company event in April. By the numbers: 3.6 billion– Ever since a 2015 go-private deal in which equity firm Thoma Bravo bought Riverbed for about $3.6 billion, the company hasn’t been disclosing how much it paid for any of its numerous acquisitions. Outlook: Riverbed’s move to do LAN along with WAN is ambitious, as is the company’s recent rhetoric, but it’s unproven in this new market, and only time will tell for sure. Why they’re here: NetScout is a network performance monitoring and diagnostic company with a major presence in the large enterprise and service provider segments. It’s still going through some consolidation, given the 2015 deal that saw it combine with Fluke Networks, Arbor Networks and VSS Monitoring in a complicated not-actually-a-merger. The combined company has a huge market presence in network performance monitoring and diagnostics (NPMD, and is one of the top vendors for hyperscale data centers. It’s one of just three leaders in Gartner’s most recent NPMD Magic Quadrant, despite the fact that it’s suing Gartner over a previous report. Networking pros like the ability to do root-cause analysis across multiple parts of the infrastructure and view historical data quickly to find problems. Recent power moves: NetScout announced that it had reached a milestone in the integration of its real-time information platform with Arbor’s threat-analysis tool, strengthening its network monitoring and security capabilities. By the numbers: 500 million+ – Gartner says NetScout has the biggest NPMD revenues of anybody in the market, between $500 million and $750 million per year. Outlook: NetScout isn’t as much of a household name as some of the others on this list, but it’s a powerhouse company with a big user base and a lot of well-regarded tech. It still needs to make progress on integration, but the future looks pretty solid. Why they’re here: The name makes it sound like a company that markets energy drinks, but Extreme Networks is suddenly a company with an impressively complete portfolio of enterprise networking offerings. Having bought up Brocade’s data-center business from Broadcom, nabbed Avaya’s networking business and acquired Zebra Technologies' LAN business in 2016, Extreme’s existing switching and routing now forms the basis of a surprise up-and-comer on the enterprise networking scene. Recent power moves: The aforementioned acquisition of Brocade’s core routing business is hard to top. By the numbers: 100 million –Extreme paid $100 million for the just-closed acquisition of Avaya’s core networking business. Outlook: Like several other companies on the list, Extreme is rolling the dice with a raft of high-profile acquisitions and a move toward taking a bigger bite out of the enterprise networking market. Why they’re here: It’s a bit odd to refer to Dell, one of the most recognizable American tech brands, as an outsider, but here we are. Somewhat unusually for an older company, Dell’s recognized as a data-center networking “visionary” by Gartner’s latest Magic Quadrant report, a fact that has everything to do with the company’s welcome of open standards and highly interoperable hardware and software. While the company’s hardware may not have the same reputation as some of its competitors’, the fact that a wide range of different software can be run on it means that there’s a great deal of flexibility – a strong value proposition for users looking to embrace more virtualized network technologies. Pretty good fit for a company that also technically owns VMware, although the latter firm still operates with a high degree of independence. Recent power moves: Dell recently beefed up its channel partner program – something Gartner cited as a potential weakness. By the numbers: 67 billion –The company ponied up $67 billion for EMC, which still largely owns VMware. Outlook: Dell’s using both its investments in VMware and its own open networking gear to offer an attractive option to companies that want to get into advanced technologies like hyperconverged infrastructure.